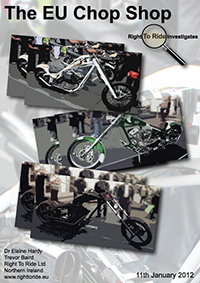 As we commented earlier this month, the issue of “long forks” and “extreme chopper style” was reported in two editions of Motorcycle News (MCN ) in February, followed by editorials in Back Street Heroes and 100% Biker magazines. This is fantastic news from MAG UK to clarify the issue relating to a discussion paper from which a presentation was given at a meeting regarding, “ steer-ability, cornering properties and turn-ability – to address issues observed with extreme chopper style vehicles”. 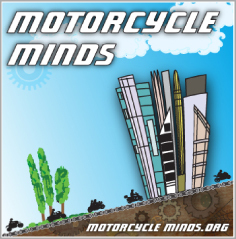 This was the December meeting of the European Commission’s MCWG (Motor Cycle Working Group) attended by a variety of stakeholders, including FEMA (Federation of European Motorcyclists Associations), FIM (Fédération Internationale de Motocyclisme), ACEM (The Motorcycle Industry In Europe), Member States Government representatives and others. 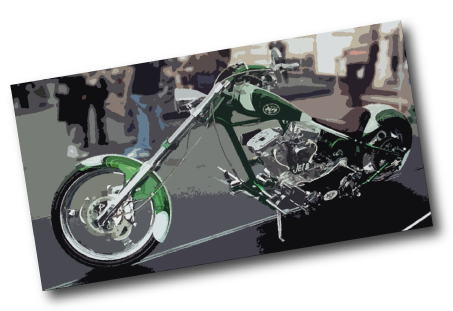 Indeed some main stream manufacturers of these styles come to mind, specifically the models such as the Honda Fury, Victory Jackpot and Harley Davidson Wide Glide. However as reported earlier, according to the Commission representative, “The objective of this proposal focuses specifically on mainstream manufacturers and not unique builds or small series which would remain under member state single vehicle approval”. 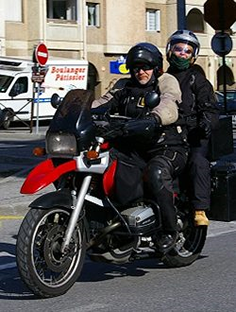 The Commission wanted to have a U turn and slalom test for ALL motorcycles, scooters etc but gave the unfortunate example of extreme chopper style to justify the test. However, at Right To Ride we are not aware of data that would show these as being over-represented in accidents- so designing a Type Approval test that would apply in 99.99% of cases to vehicles not prone to being a problem, would not be cost-effective and in our view difficult to justify. This is where we stop. We said there was no proposal against “long forks” or “extreme chopper styles” and we are delighted to note that MAG UK has agreed with us.